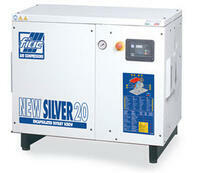 Stand alone quiet rotary screw compressor models offering encapsulated belt driven option, direct drive, or efficient direct drive with variable speed control. 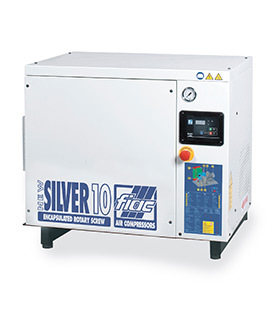 The FIAC Silver air compressors adopt an advanced encapsulated air end minimizing connection points and allowing for optimal use of cabinet space. 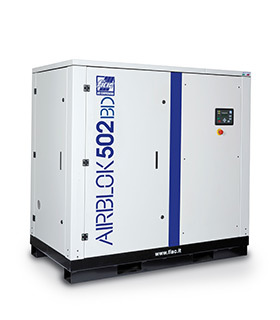 The AIRBLOK series is very versatile offering belt drive, direct drive, and variable speed drive options.